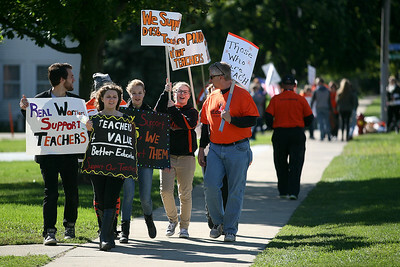 Matthew Apgar - mapgar@shawmedia.com McHenry High School East faculty and students protest outside of the school on Friday, Oct. 02, 2015 in McHenry. 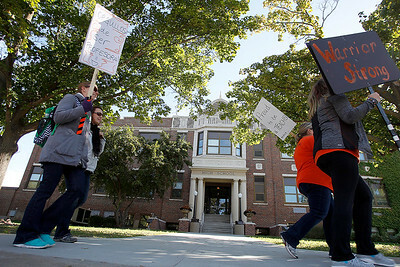 School was closed for a second straight day at both McHenry High School East and West due to the strike over contract disputes. 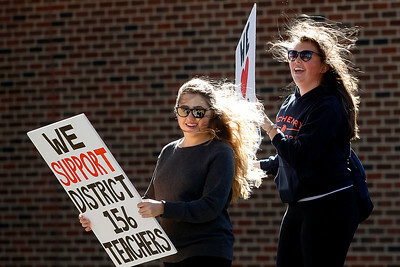 Matthew Apgar - mapgar@shawmedia.com McHenry High School East seniors Fallon Creech, left, and Hannah Altman show their support for their teachers as they help protest outside of the school on Friday, Oct. 02, 2015 in McHenry. School was closed for a second straight day at both McHenry High School East and West due to the strike over contract disputes. 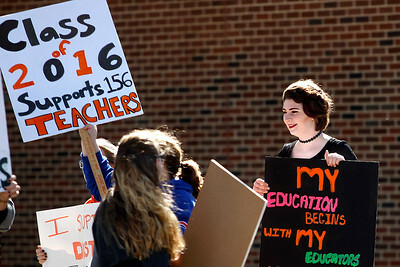 Matthew Apgar - mapgar@shawmedia.com McHenry High School East senior Morgan Bode joins fellow students and faculty to protest outside of the school on Friday, Oct. 02, 2015 in McHenry. 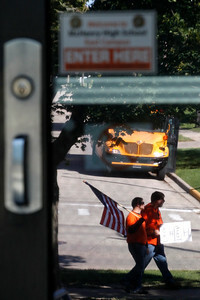 School was closed for a second straight day at both McHenry High School East and West due to the strike over contract disputes.